Even if you haven’t been in the market for insurance it’s been pretty much impossible to flip on your TV, radio or check in to your favorite spots online without hearing something about the problematic Healthcare.gov website launch. Why would we be adding more commentary to the pile here? Well, we don’t intend to actually. We’re approaching the two-year anniversary of our New Media Mentors program and are proud to have now worked with 13 great organizations over four cohorts. In that time period, we’ve learned almost as much as our mentees. One of the important things we learned after our first two cohorts was that working with digital and communications staff just wasn’t enough. 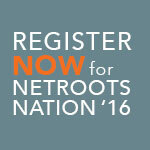 Last week the Action Network launched with the promise of providing free digital tools to progressives. The tool they launched is well designed, simple, clean and even makes functions like reporting (which are usually awful) easy to use. But they went quite a bit further than that by really crashing some digital gates which will ultimately result in more effective activism and better digital tools for everyone. What’s Facebook doing with our data? You might not know this, but Facebook has a team of crack scientists and researchers known simply as the “Data Science Team.” They have access to the largest database of human social interaction ever assembled and they’re working on ways to put that to work for Facebook’s bottom line. But there’s also great potential for missteps along the way. Friday Linx is a recurring feature on our blog. We’re aiming to bring you a collection of links worth a read and cute cat video to ease you into the weekend. Well, the cats are on strike this weekend. So we bring you Jon Stewart instead. Below you’ll find items on Code Academy, Communications, Email, Benchmarking reports, and the best meme to hit the Internet this week.